Paul is Continuity’s real estate and legal expert, leveraging his significant experience in asset management and law to help closely-held enterprises involved in developing, owning, and managing commercial real estate. He also guides Continuity clients in matters to do with governance development, succession planning, and conflict management. Concurrent with his role at Continuity, Paul maintains a legal practice focusing on commercial real estate transaction, closely-held and family business law, and Alternative Dispute Resolution. He does not work with Continuity clients in a legal capacity. During his career, Paul has overseen the legal aspects of well over 500 real estate and business transactions. Paul provides sophisticated advice on a full range of real estate transactions and land use concerns involving office, retail, industrial, and multi-family residential properties. He identifies critical issues in a pro-active manner and helps structure business deals in a way that strengthens the relationship among family members and all related parties. In business law, his representation includes the evaluation and formation of non-public and family business entities that are designed to limit the taxation and personal liability of principals, while clearly setting out the rights and responsibilities of all owners in order to limit future conflicts. With more than twenty-five years of experience representing both privately-held real estate and family-owned business enterprises, he guides clients in resolving disputes related to restructurings and break ups, as well as commercial real estate and construction conflicts through mediation. He has contributed to the expansion of Alternative Dispute Resolution, especially Collaborative Law, into resolving certain types of civil (business) disputes – including those involving closely held and family business restructurings, break ups, and commercial real estate. He may serve as a non-litigation legal advocate in the traditional model, a Collaborative Law practitioner, or a neutral mediator. Paul’s substantial business and legal accomplishments for families draws, in part, upon his first-hand knowledge of family business dynamics from his experience as the Operating Manager of a fourth generation commercial real estate enterprise. He has also served as a partner, of counsel, and as an associate in several law firms. Paul is a frequent presenter for professional education programs and other events sponsored by the Boston Bar Association, International Academy of Collaborative Professionals, New England Corporate Counsel Association, Massachusetts Continuing Legal Education, Inc., the CCIM Association, Northeast Builders Association, Building Owners and Managers Association, and the Family Firm Institute. 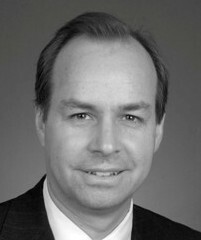 He has contributed articles for the Massachusetts Law Review, Boston Business Journal, Massachusetts Collaborative Law Journal, Massachusetts Lawyers Weekly, Banker and Tradesman, New England Real Estate Journal, Northwestern Journal of International Law and Business, and the Harvard Negotiation Law Review. Paul earned a JD from Northwestern University School of Law and a BA from Amherst College.